Have you already sequenced your samples and have raw data files (e.g., FASTQ) that you need to be analyzed? We offer in-depth bioinformatics analysis to produce high-quality, publication-ready data for bisulfite sequencing, ChIP-Seq, RNA-Seq data, and more. 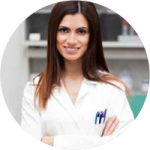 EpiGentek’s bioinformatics service takes your raw next-gen data and gives you comprehensive figures customized to your research aims as well as personalized technical support for interpretation purposes. If you’d like custom figures and analysis of your raw next-gen sequencing data from Illumina or Ion Torrent instruments, please submit a service inquiry. 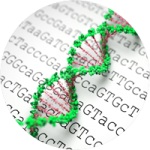 Provide raw NGS data for analysis and creation of figures, complete with technical support for comprehensive interpretation. Want more information on our Bioinformatics Services or interested in customizing your research project? We’re here to help! Get in touch with one of our highly knowledgeable epigenetic services experts by calling toll-free at 1-877-374-4368 or emailing services @ epigentek.com.